The wind power company SeaTwirl has been granted a patent in the USA for a storage solution for kinetic energy that can optimize the rotational speed of a wind turbine. A problem with wind power is the voltage fluctuations that comes from variations in the windspeed. The granted patent is for a solution to store kinetic energy in a sort of fly wheel that can be used to optimize the rotational speed of the turbine and thus stabilize the electric grid. The solution works by moving mass to or from the center of rotation. It’s the same principle as a figure skater who pulls her arms towards her body to spin faster when making a pirouette. By moving mass towards the centre, the output power can be maintained with less wind and thus be optimized to reduce fluctuations on the electric grid. “The patent is part of our strategic work to build a broad patent portfolio. 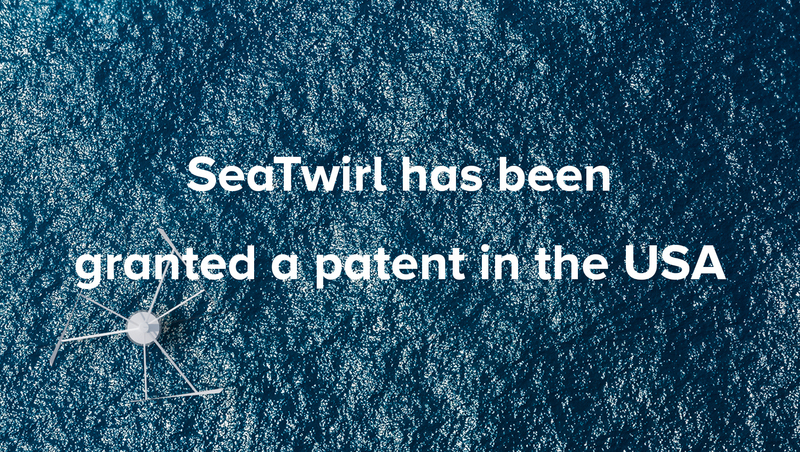 By protecting technical solutions that optimizes operations and reduces the stress on the power grid, we can strengthen our market position”, says Gabriel Strängberg, CEO of SeaTwirl.